Synthetic diamonds are actually incredibly similar to naturally mined diamonds, contrary to common belief. Otherwise known as 'lab grown diamonds' they both share essentially the same chemical composition, crystal structure and physical properties. While these lab grown diamonds are certainly not fakes, they are certainly not natural either. While natural diamonds continue to be the ‘go-to’ option for engagement rings, these synthetic or lab grown diamonds are working their way into the main stream. It used to be that lab grown diamonds were only suitable for industrial use, however as of recently they have been available in gem quality. Synthetic diamonds are now offered in a wide variety of sizes, shapes and colors making them a viable option for jewelry and engagement rings. During your quest for the perfect diamond, it pays to understand the differences between natural and labgrown. 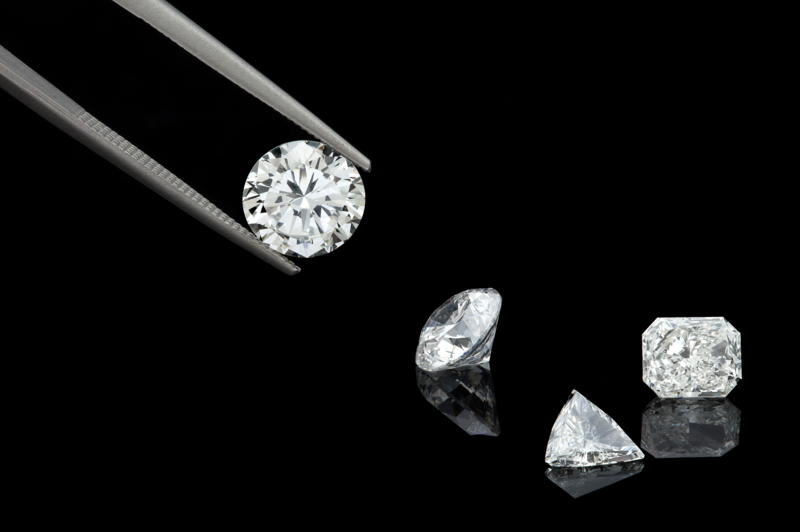 Originally produced for industrial uses during the 1950’s, lab grown diamonds have been used in a wide array of applications, from laser optics to telecommunications and more. In 1970, General Electric created the first lab grown diamonds in a size and quality that could be faceted. Fast forward to the 1980’s and manufacturers were able to grow large, commercial qualities of synthetic diamond crystals that could be properly cut and used in fine jewelry. In the beginning they were mostly small and were yellow in color, but over the next few decades the quality of these gems improved eventually becoming colorless. Now days, these diamonds can now match natural diamonds in appearance.